I love Chicago! The city is clean, the people are friendly, and the architecture is fantastic. 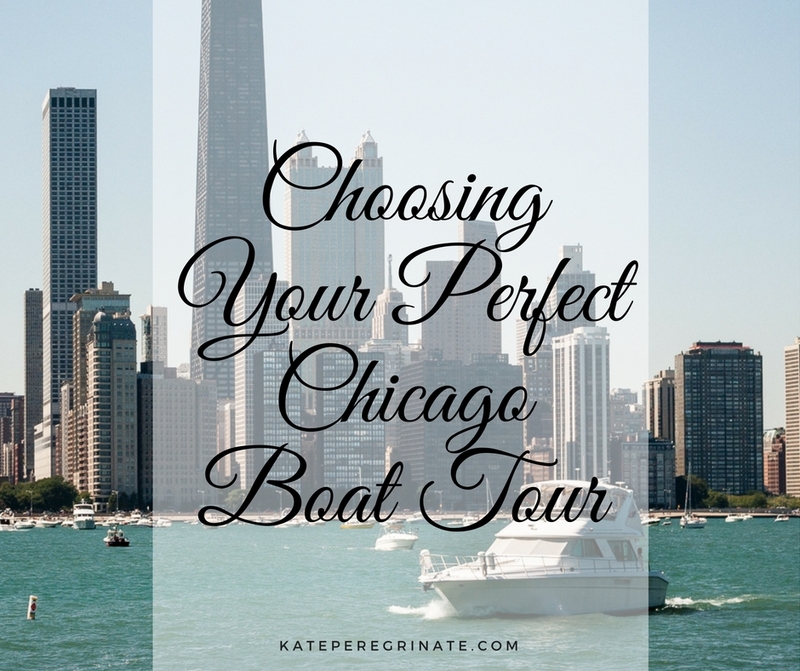 It’s easy to navigate the city by foot, bus or “L”, but my favorite way to see Chicago is by boat. There are a lot of cruising options out there, so it can be overwhelming trying to figure out which one to do on your trip. I’ve had the opportunity to take two boat tours — the Wendella Signature River & Lake Tour and the Chicago Architecture Foundation River Cruise. Both double-deck vessels had indoor and open-air areas and a fully stocked bar, and onboard guides shared information throughout the ride. The main differences were the cruise path and the scope of the guided’s presentation. You can’t go wrong with either tour, but knowing what to expect from each of them will help you pick the one that is perfect for you! Are you looking for a chance to visit with friends while you rest your feet after some shopping on Michigan Ave? Do you want to see the skyline from Lake Michigan? If you answered “Yes!” to either of these questions, the Wendella Signature River & Lake Tour is for you! Lasting 90 minutes, the tour takes you down the Main Stem of the Chicago River, past Marina City and the Wrigley Building, before heading to Lake Michigan. 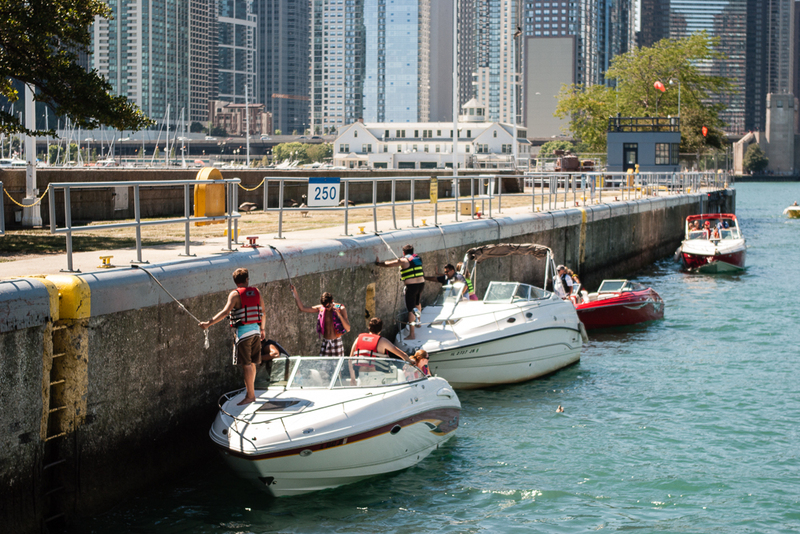 You’ll pass through the Chicago Harbor Lock, which was built in the 1930s as part of a plan to decrease pollution in the lake by reversing the flow of the river. I was there on the last weekend before Labor Day, so there were several smaller boats waiting in the lock with us as it filled with water from Lake Michigan. Once on Lake Michigan, you’ll get some stunning views of the city. 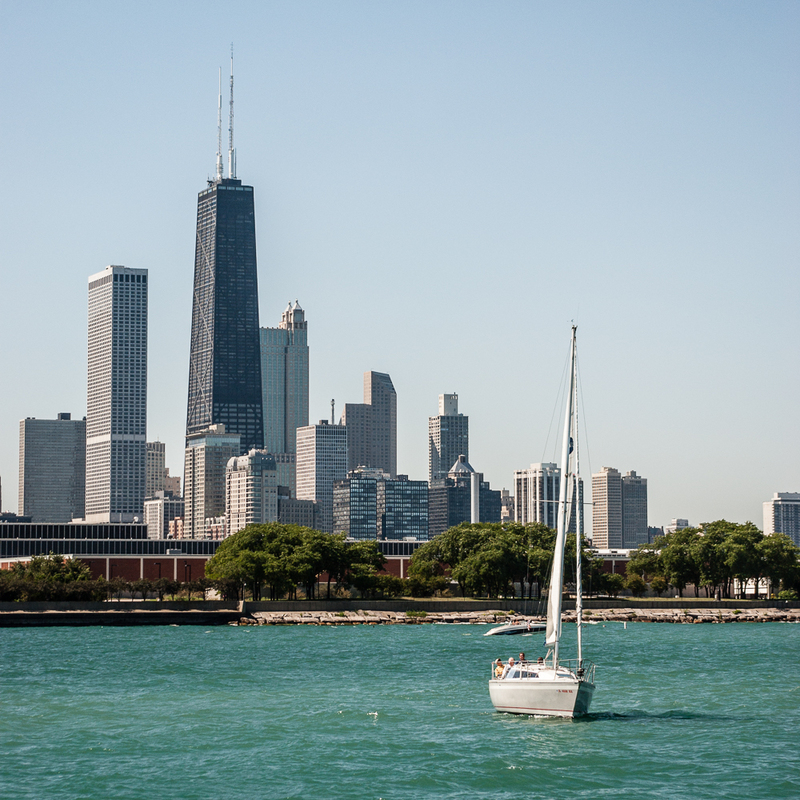 The part of the Chicago skyline you see will depend on the path your boat takes (and the weather!). Our path seemed to favor the north side, so I was able to get some great pictures of Navy Pier, Oak Street Beach and Hancock Tower. We were a bit further out when we headed south, and the hazy sky made it difficult to get great views of buildings in The Loop (including Willis Tower). Are you looking for a chance to learn about the history of Chicago’s architecture and the buildings lining the Chicago River? Do you want to rest your feet while sailing under over a dozen bridges spanning the three branches of the Chicago River? If you answered “Yes!” to either of these questions, the Chicago Architecture Foundation River Cruise is for you! 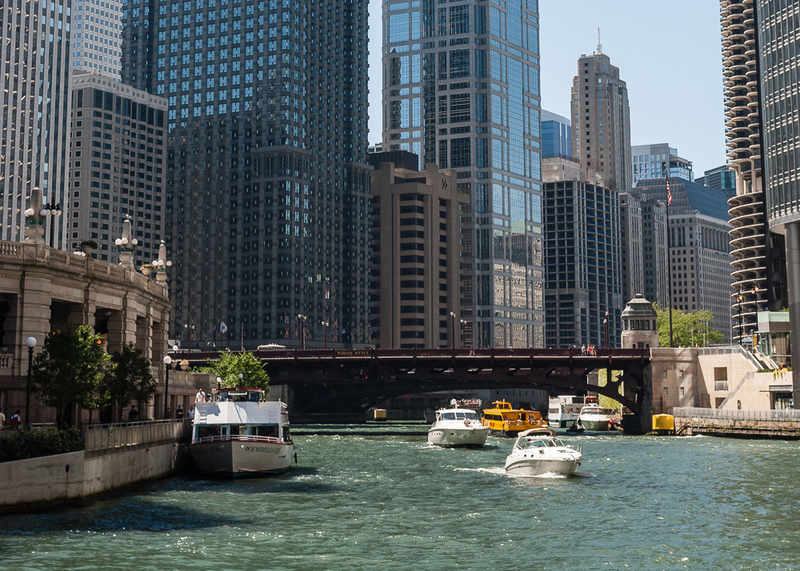 You might notice that some other tour companies offer an architecture boat tour, but this is the one to take for one simple reason — the volunteer guides are trained by the Chicago Architecture Foundation. These docents love architecture, and you will too by the end of the tour. Also clocking in at 90 minutes, the boat tour takes you down the three parts of the Chicago River — the Main Stem, South Branch and North Branch. 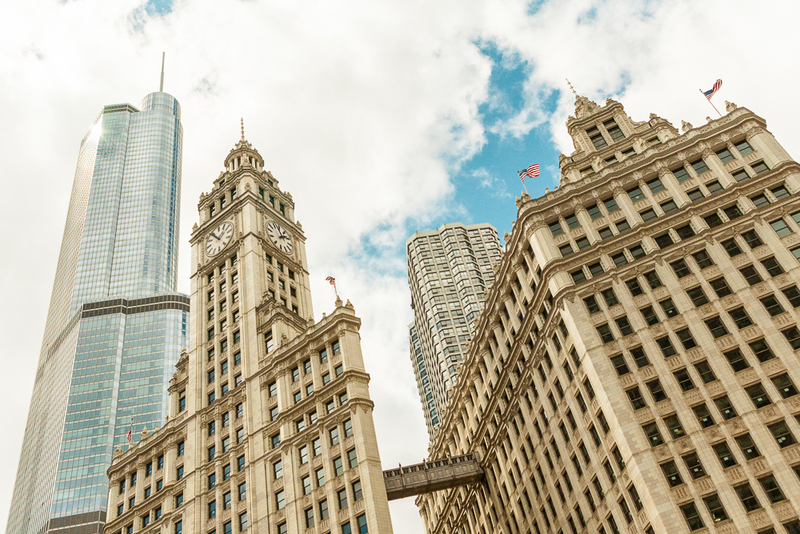 You’ll see some of the most iconic buildings in Chicago, including the Wrigley Building, Marina City, 333 West Wacker, Willis Tower, the Historic Montgomery Ward Complex and Aqua. The guide will point out examples of different architectural elements and styles. Louis Sullivan, Frank Lloyd Wright and Ludwig Mies van der Rohe will become your new architectural best friends. Wendella and CAF both offer specialized tours, such as photography, sunset and wine & cheese cruises. Be sure to check out all of their tours to make sure you pick the one that matches your interests. The boat tours are popular, so buy your tickets online and get to the dock about 30 minutes before your scheduled departure to make sure you get a great seat. Several companies offer boat tours and cruises, and many dock near Michigan Ave. Double check that the dock you go to is the right one for your tour. Dress appropriately! I went on the architecture cruise in November, and I definitely needed my hat and gloves. I took the river and lake tour in August, and it was extremely hot, especially while waiting in the Chicago Harbor Lock. I love architecture, so the CAF River Cruise is my top pick. However, if you want to get out on the lake or want to visit with friends instead of listening to a guided tour, the Wendella River & Lake Boat Tour is right for you. 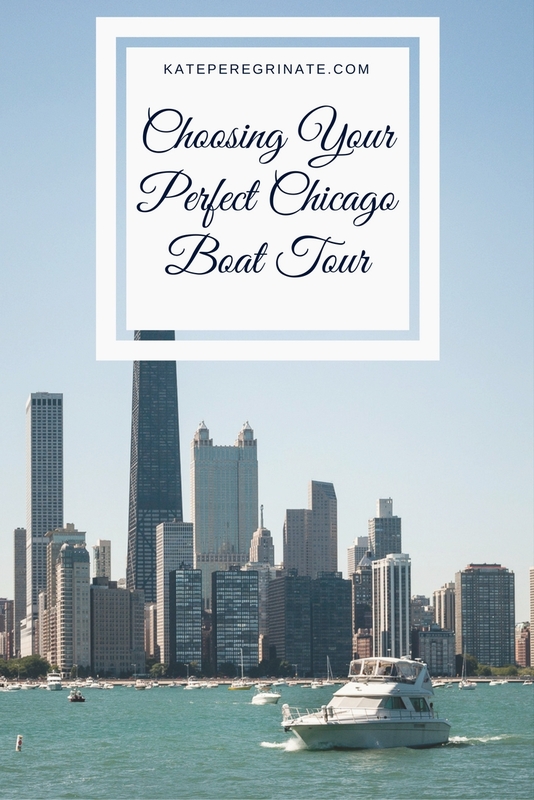 Have you taken a Chicago boat tour? If so, which one is your favorite? We also did the CAF tour and were quite pleased with our choice. 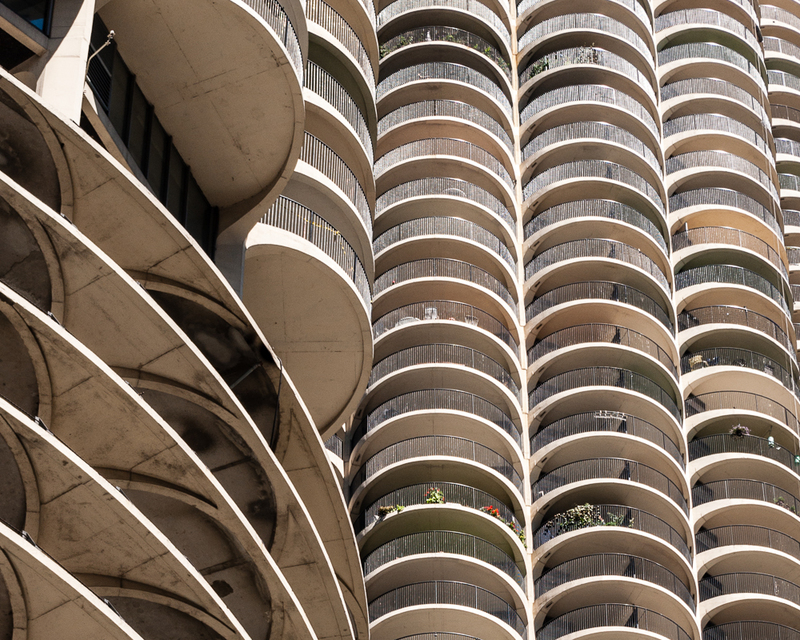 I love your photo of Marina City. I have never seen it shot from that angle before. Very creative. Thanks! Sometimes I think I should have been an architect because I love buildings so much! I think about 75% of my travel pictures are “building portraits”. I was in Chicago last month for a work trip, and both tours were available. Unfortunately, I didn’t have time to go on either. But, if I had the chance, then I would definitely go on the CAF tour. There is just something so unique about the architecture along the Chicago River that I would be interested in learning more about it. There are not too many large cities within North America that has a huge river running through it. Otherwise, there are so many cities in North America that are situated off lakes, rivers or oceans that you could do something similar to the Wendella tour. I totally agree! I grew up in Louisiana, which has a lot of cities on rivers, but the Chicago River seems much more quaint than the giant Mississippi River. Taking a river cruise in New Orleans is more like the lake cruise in Chicago.